The Miyagawa Kosai story is quite long and complex, since there have been so many quality members of the family as well as top-class students from the line. Scholars sometimes debate which members of the family are the superior artists. This kind of debate is fruitless, since each has their own style and therefore can’t really be compared to one another. It would have been too difficult to pick out any one over the others. The second generation of Kosai studied with Chozo and Toranosuke until he struck out on his own. Back in 1911, he received a special command order to create a piece for the 650th anniversary of the passing of Saint Shinran. This piece was thus known as the Ichimonji Goji Utsushi Chawan, and sculpting it was quite an honor. Shinran Shonin, often called Saint Shinran, was the founded of the Jodo Shinshu school of Buddhism. He lived from 1173-1262, and he belonged to the Fujiwara clan. While he himself was not a yakimono artist, his works have inspired a variety of different works of art over a long period of time. Creating a piece for the anniversary was quite auspicious. Shinran was noted for his miraculous visions, and an artist of course takes his or her own personal vision for pieces very seriously. This Makuzu Chozo is from the earlier artist by the name of Miyagawa Chozo, and is currently stored with the Bachmann-Eckenstein Japanese Art Museum. The Kosai name has been handed down for years. As with other members of the Miyagawa clan, he ultimately retired and upon his retirement selected a separate name for himself. This name was Chibei, and many materials continue to use this name to this day. That saves some confusion for scholars with the other individuals to carry the name Kosai, but it also is seen as a sign of respect in certain circles. This photo from the opening ceremony of the Makuzu Exhibition shows that even those who drink tea today appreciate Kosai pieces. Once he retired, the newly named Chibei had the right to pass down the Kosai name to another member of the family. He gave the name to his eldest son, who was born Shuzo. While he might not be one of the most well known members of the line, that in no way cheapens his accomplishments. In fact, while one might have assumed that an elder son would have seen fit to take things easy as his position seemed secure, nothing could be further from the truth. 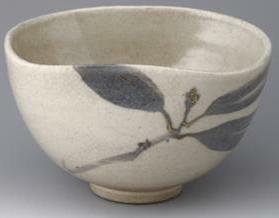 He continued to push the envelope and remained extremely dedicated to yakimono ceramic art. Dedication seems to be a major theme of the clan, considering that each individual to take on the name never relied on anything besides hard work.